Jared Unzipped: Another Story Hidden From View. 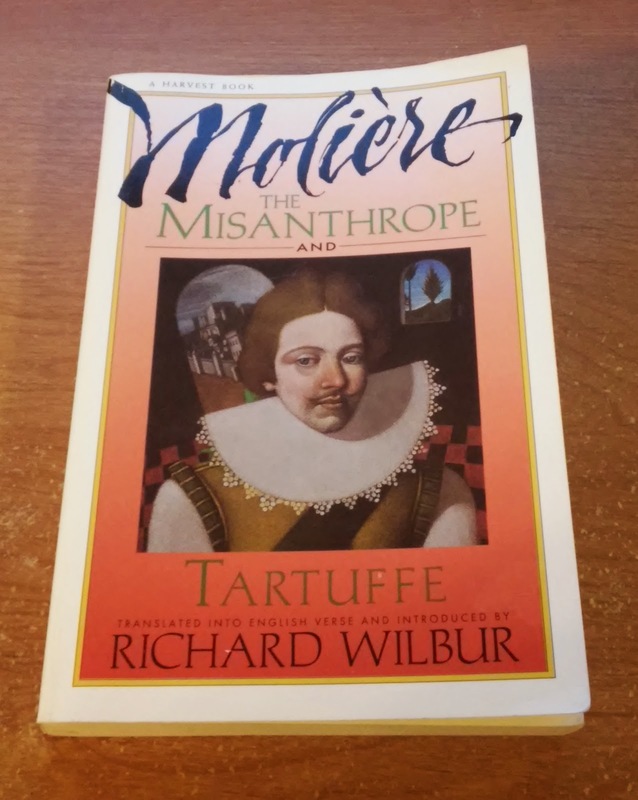 While browsing through the book section of a local thrift store, I happened upon a copy of Moliere's masterful Seventeenth Century comedy "The Misanthrope". I've wanted a copy for quite a while because I rather enjoy this farce. Obviously, I was overjoyed. Sure, I could buy a new copy from Amazon or Barnes & Noble, but what fun would that be? Anyway, upon bringing the book home, I discovered that within it's pages was another story hidden from view. Not one of laughter or whimsical satire, but of a journey by someone whom was in love. A few pages deep, I found this boarding pass. It seems the previous owner of this book flew on Air Canada. Their last name was Brown and they went from Vancouver to Calgary. No date was provided, but I could say within reasonable certainty that it was no older than five or six years. On the back, more clues were to be found. 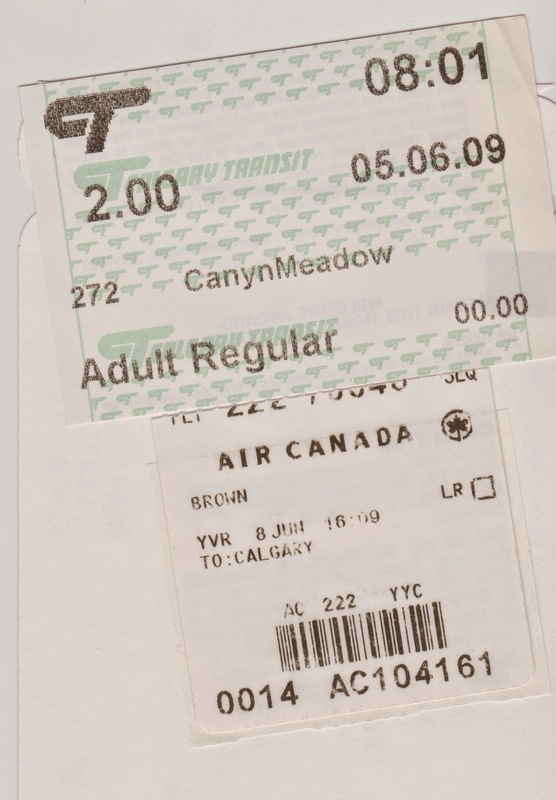 The first ticket appears to be linked to Calgary Transit, which is a bus and rail service. Finally, I had a date of travel! Looks like they arrived in Calgary and traveled further on June 5, 2009 (Canadians and the rest of the world typically reverse their date format from the way Americans do). We know the traveler was an adult based upon the price of the ticket. 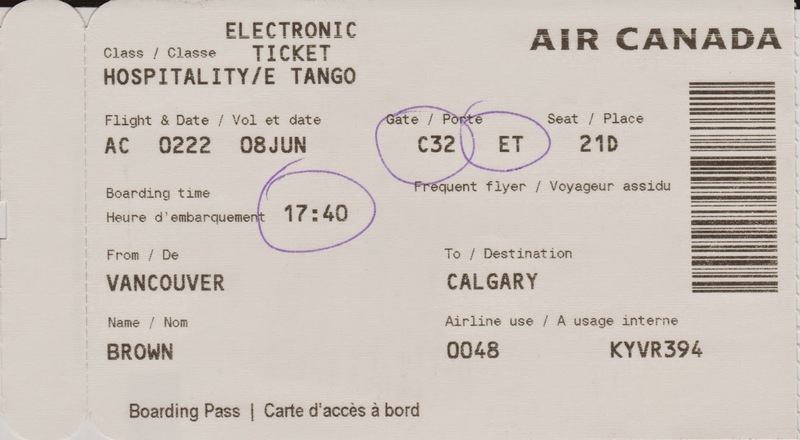 There's another ticket related to Air Canada as well, which seems to confirm that the trip took place in June of 2009. The Brown name is also repeated again. The plot thickens from this point. We're obviously dealing with a fan of poetry here. About halfway through the book, I found a transcription of Amy Lowell's "The Taxi". Lowell is a Pulitzer Prize winning poet whom broke against traditional expectations of women during the late Nineteenth and early Twentieth Century. Her works are wrought with love and fiery passion. 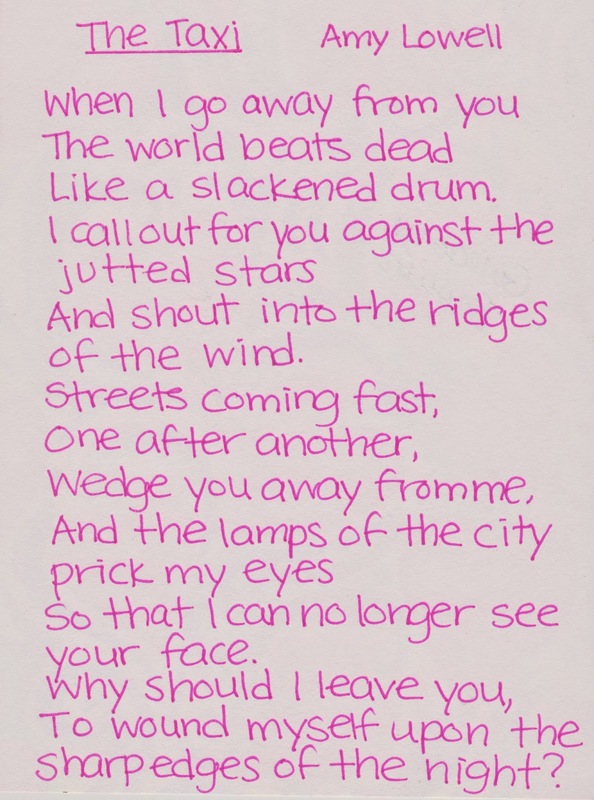 As evidenced by the poem itself, it speaks to leaving behind a loved one and how much it can hurt the soul. Based upon the handwriting, we can tell that the transcriber was a woman. The neat vertical strokes indicate the writer was logical and a thinker. The shortness of the letters reflects a person whom is introspective and shy. Being that it was printed and not written in cursive, we know the writer has a tendency to be patient, but also versatile. Towards the end of the book, one final poem was found. 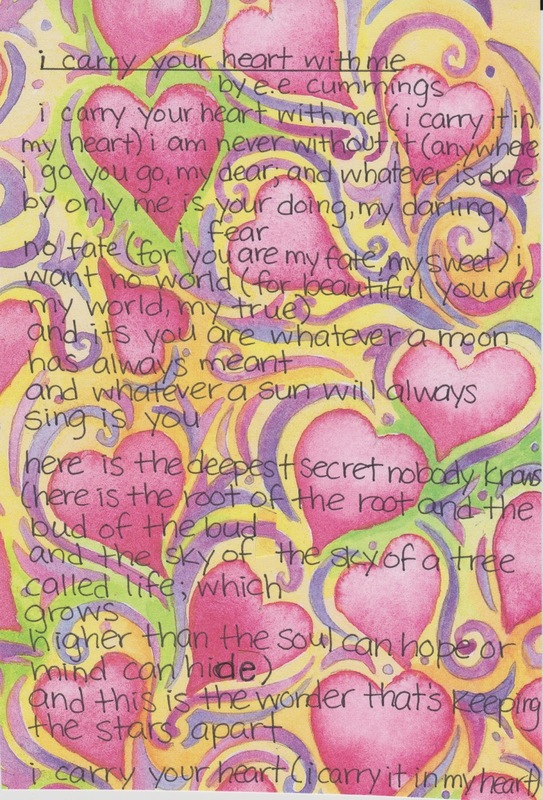 The final poem is "I Carry Your Heart With Me" by E.E. Cummings. Known by readers of poetry the world over, Cummings is considered a champion of Twentieth Century literature. His works are known far and wide. This poem is famous for being used at weddings -- which makes sense considering the content. Read it for yourself and see. If you were to look love poem up in a dictionary, you may just see "I Carry Your Heart With Me". Obviously, our transcriber Brown is in deep love with someone, though we know not who. I almost resigned myself to never knowing the end of the story, until I flipped the previous poem over. On the back, encircled in a heart, was the name Gregory Brown. Ah-hah! So the target of our love is Gregory Brown. We know our traveler was also a Brown, so it must have been Gregory's wife! Alas, her name is lost to time. I'm inclined to believe that Gregory Brown is from Vancouver, British Columbia. His wife took a trip away from him, but surely experienced much heartache in doing so. For someone to write such sweet, passionate musings and carry them in their book as a reminder, that bond must have been very strong. Why did Mrs. Brown travel to Calgary? Did she come back? Much less, how did this book wind up in North Carolina? That's quite a journey from Canada to here. I'm always thankful to find a piece of the previous owner in a used book. It tells me that the book I'm taking home had a life before me. These little pieces tell a bigger story, one that you and I are now a part of. Gregory Brown, if you're out there... you're a lucky man. I hope your love with this mysterious woman has only grown stronger with time.